It started on Friday when we were able to dress up at work and had a lovely little potluck. I knew I wanted to go literary this year, but there was so much to choose from. 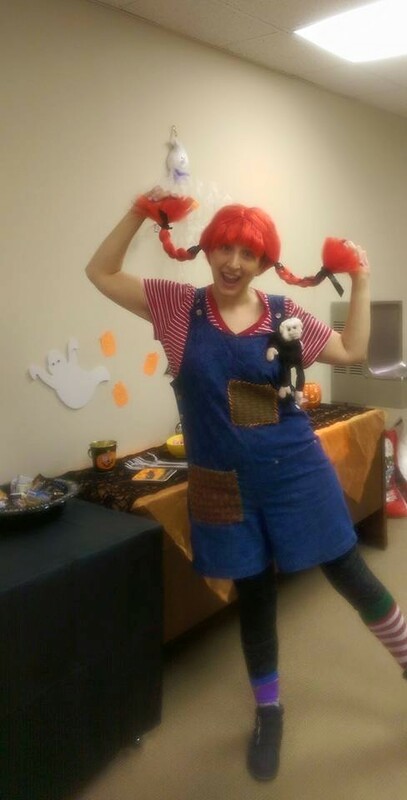 I went with an old favorite who is widely recognizable, Pippi Longstocking. Being super introverted I already teeter a line of being comfortable in costume, but I find that if I don’t have to explain a not so popular fandom it feels good to dress up. In September I decided that I was going to give out books on Halloween in addition to candy. (I would NEVER cheat the trick or treaters out of their candy!) Usually I drag a table to the end of my driveway to pass out candy because my yard isn’t well-lit and I don’t need kids who already can’t see through their masks tripping over a pine cone. But this year, my neighborhood decided to do a “trunk-or-treat” in the parking lot of our pool. So, I spent some time thrifting and yard sailing for used kids books. My cousin was also extremely helpful in mailing me a stack of books her daughter had outgrown. I tried to get a pretty good mix for all age groups, being that trick-or-treating is for the tiny toddler up to teenager. As long as I can afford it, this will become my new Halloween tradition, and I invite anyone else who wants to snag the idea to do so. Of course, let me know if you do next year so we can compare notes. Upon observation I need to plan for more middle grade and YA books next time and probably need to start collecting in August at the latest. Hopefully I can get more donations and not have to spend quite as much cash. 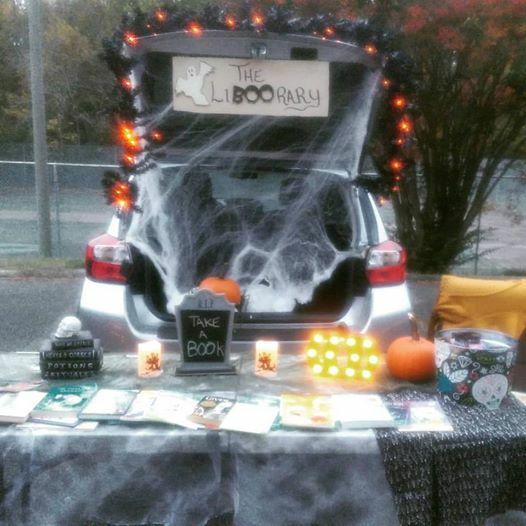 Happy BOOkish Halloween!